LOS ANGELES (AP) — Protesters rallied in dozens of cities Saturday as part of a global protest against seed giant Monsanto and the genetically modified food it produces, organizers said. Organizers said "March Against Monsanto" protests were held in 52 countries and 436 cities, including Los Angeles where demonstrators waved signs that read "Real Food 4 Real People" and "Label GMOs, It's Our Right to Know." The 'March Against Monsanto' movement began just a few months ago, when founder and organizer Tami Canal created a Facebook page on Feb. 28 calling for a rally against the company's practices. "If I had gotten 3,000 people to join me, I would have considered that a success," she said Saturday. Instead, she said an "incredible" number of people responded to her message and turned out to rally. "It was empowering and inspiring to see so many people, from different walks of life, put aside their differences and come together today," Canal said. 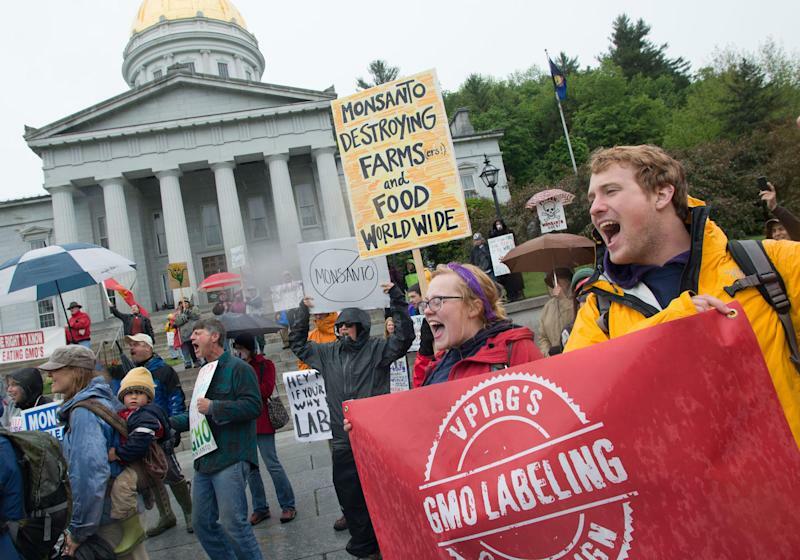 The group plans to harness the success of the event to continue its anti-GMO cause. "We will continue until Monsanto complies with consumer demand. They are poisoning our children, poisoning our planet," she said. "If we don't act, who's going to?" 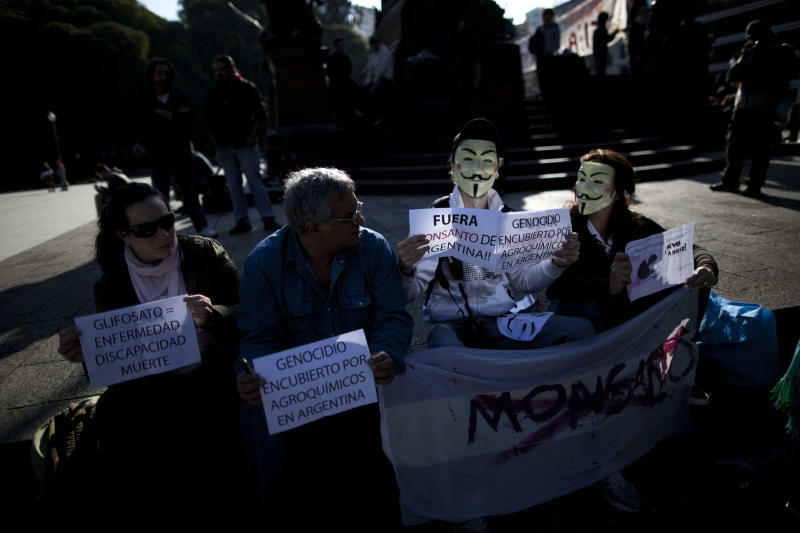 Protesters in Buenos Aires and other cities in Argentina, where Monsanto's genetically modified soy and grains now command nearly 100 percent of the market, and the company's Roundup-Ready chemicals are sprayed throughout the year on fields where cows once grazed. 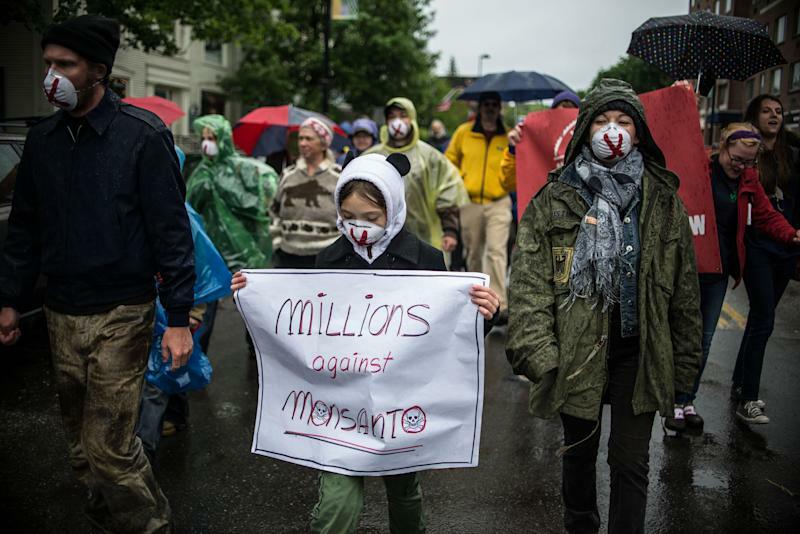 They carried signs saying "Monsanto-Get out of Latin America"
In Portland, thousands of protesters took to Oregon streets. Police estimate about 6,000 protesters took part in Portland's peaceful march, and about 300 attended the rally in Bend. Other marches were scheduled in Baker City, Coos Bay, Eugene, Grants Pass, Medford, Portland, Prineville and Redmond. Across the country in Orlando, about 800 people gathered with signs, pamphlets and speeches in front of City Hall. Maryann Wilson of Clermont, Fla., said she learned about Monsanto and genetically modified food by watching documentaries on YouTube. "Scientists are saying that because they create their own seeds, they are harming the bees," Wilson told the Orlando Sentinel. "That is about as personal as it gets for me." Chrissy Magaw was one of about 200 protesters who walked from a waterfront park to the Martin Luther King Jr. memorial in Pensacola. She told WEAR-TV that knowing what you eat and put into your body is the most important decision you make every day. In Birmingham, Ala., about 80 protesters turned out at Rhodes Park, some dressed as bees and butterflies, Al.com reported. SI Reasoning, an activist, artist and musician who lives in Vestavia, Ala., described Monsanto's handling of GMOs as a "huge, uncontrolled experiment on the American people." Monsanto Co., based in St. Louis, said that it respects people's rights to express their opinion on the topic, but maintains that its seeds improve agriculture by helping farmers produce more from their land while conserving resources such as water and energy. The Biotechnology Industry Organization, a lobbying group that represents Monsanto, DuPont & Co. and other makers of genetically modified seeds, has said that it supports voluntary labeling for people who seek out such products. But it says that mandatory labeling would only mislead or confuse consumers into thinking the products aren't safe, even though the FDA has said there's no difference between GMO and organic, non-GMO foods. Whole Foods says there is growing demand for products that don't use GMOs, with sales of products with a "Non-GMO" verification label spiking between 15 percent and 30 percent.